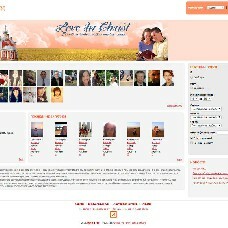 Want to create a dating site for Christian people in a specific area or all over the world?Please contact us! VoHriste is a Christian dating site for marriage and serious relationships. The site founders invite you to forget the differences between Catholics, Protestants and Orthodox Christians. Since 2011, the service has been making communication between users informative and fun. All of the site features are free.